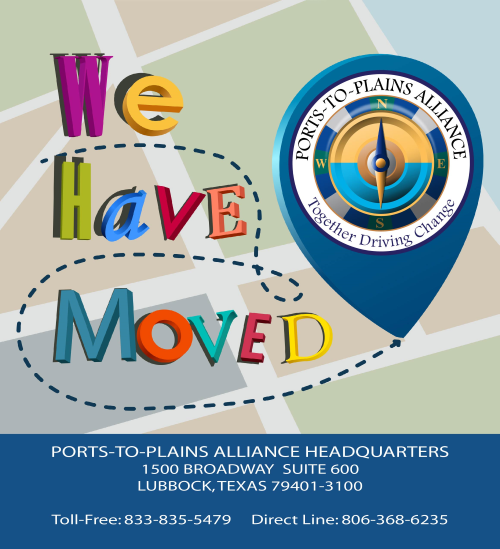 At both the state and national levels, the Ports-to-Plains Alliance continues its advocacy efforts to improve the corridor through the nine-state corridor. An article below identified a recent success when the Heartland Expressway received an $18.3 million Infrastructure for Rebuilding America (INFRA) grant from USDOT to expand the corridor between Angora Hill and the Box Butte county line from a current two lane to a four-lane divided highway. In the past few months you have seen information on specific activities such as the Washington DC Fly-in, the Colorado Highway 71 (Heartland Expressway) Truck Freight Diversion Study and the U.S. Highway 85 (Theodore Roosevelt Expressway) Draft Environmental Impact Statement. 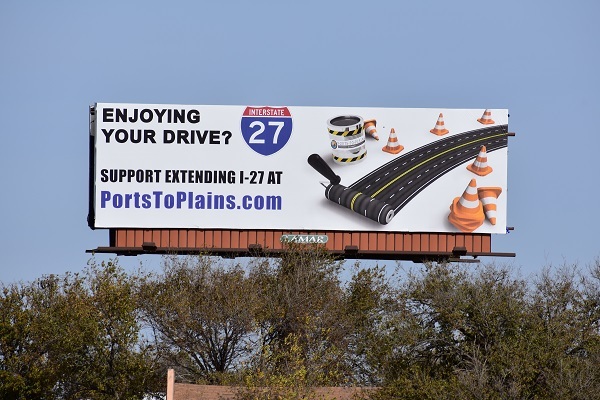 The Extension of the Interstate 27/Ports-to-Plains Corridor is an effort that can have significant impacts in Texas and throughout the nine-state corridor. At the core of the advocacy effort is the opportunity for the extended Interstate 27 to provide an alternative corridor to the currently congested Interstate 35 corridor including San Antonio, Austin, Dallas-Fort Worth and points between those cities. TxDOT’s preliminary cost to upgrade I-27 approximately 500 miles from Lubbock to Laredo is projected to cost $5.2 billion. This is far more cost effective than the expansion of Interstate 35 where the 33-mile addition of lanes to I-35 from Round Rock to Buda will cost $8 billion. The proposed extension of Interstate 27 connects major West Texas population and economic centers including Amarillo, Lubbock, Midland-Odessa and San Angelo in addition to numerous smaller communities. It will cross I-40, I-20 and I-10 and serve three border crossings with Mexico at Del Rio, Eagle Pass and Laredo. The three border crossings serve 48.6% of the total U.S. truck exports to Mexico and have grown in value by 113.9% since 2006. The Interstate will also be a major backbone for the energy industry in Texas serving top oil and gas producing counties as well as the growing wind energy industry. Ports-to-Plains Alliance and the Heartland Expressway have both been involved in advocacy for this successful application from the Nebraska Department of Transportation. Both Ports-to-Plains and Heartland submitted letters of support for the application. The September 27, 2017 letter from Ports-to-Plains to the Honorable Elaine Chao, United States Secretary of Transportation stated: "The Heartland Expressway is a transformative, as well as nationally and regionally significant project, providing a vital link not only for sectors of the regional economy, but also for the movement of goods to and from the nation’s Energy and Agricultural Heartland." In the Alliance's meeting with USDOT staff in April during the Washington DC Fly-in, this project was an example of a project that, while not having the ability to attract private financing, was a critical rural project. The Alliance is pleased that the Administration chose this project for funding and thanks the Nebraska Congressional Delegation for supporting this project. Senator Deb Fischer specifically mentioned the Heartland Expressway in several meetings that included Secretary Chao. Finally, the Alliance thanks the Nebraska Department of Transportation for submitting it. 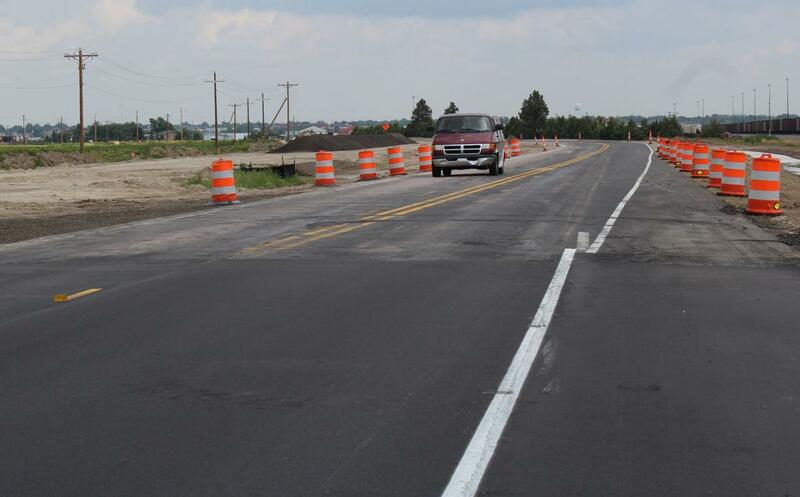 Currently, the first ten miles south of Alliance of the four-lane expansion project between Alliance and L-62A is nearing completion and this grant funding will be dedicated to the next segment to L-62A. That leg of the project is expected to be completed by 2020. Following the completion of that leg, the next step will be construction on the stretch between Minatare and Angora Hill, which is projected to begin in 2024. Nebraska has been selected as the recipient for an $18.3 million federal grant through the U.S. Department of Transportation’s Infrastructure for Rebuilding America. This grant will be applied directly to the Heartland Expressway, specifically the corridor between Angora Hill and the Box Butte county line. “It (funding) helps to provide that certainty and demonstrate that it’s an idea that’s taken hold,” said Doug Hoevet, District 5 engineer with Nebraska Department of Transportation. The Ports-to-Plains Corridor connects this energy development across the region including the Permian Basin, Bakken, Eagle Ford and Niobrara.